We are always looking for speakers, so if you think you may have something interesting to share do not hesitate to submit a proposal. We are very encouraging towards first-timers and people that are not sure they can do it. With a bit of help everybody can be a speaker! Please just get in touch with Robert at r@rhr.me and we will work with you towards delivering a great talk. One of the goals of AmsterdamJS is to make our events super accessible and attract the widest possible audience. Not all of us have the time or the funds to visit conferences. That is why we work with companies and others within the Amsterdam ecosystem to make all of our events free of charge. Since many of our community members are at their jobs during the day, we schedule our events in the evening. In between finishing work and rushing to the event there is often very little time to have a proper meal. This is why we are making sure that food and drinks are provided at each edition. Not only do we want to attract the widest possible audience, we want them to interconnect. AmsterdamJS is a platform for the community to develop and grow stronger. To encourage our attendees to hang around before and after the talks and share ideas and get to know each other, we are offering some free drinks at each event. 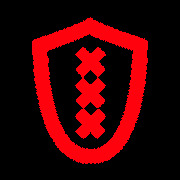 Please reach out to hi@amsteradmjs.com to discuss how you or your company can get involved! We need a sponsor for the venue, the food and the drinks for each of our events. On top of that there are countless other possibilities for getting in touch with our community. Do not hesitate to talk to us! About AmsterdamJS November 4, 2018 7:47 PM Robert H.